← Contemplation and Script writing. Well today we should have been going to Cuttlebrook koi farm for their winter harvest. 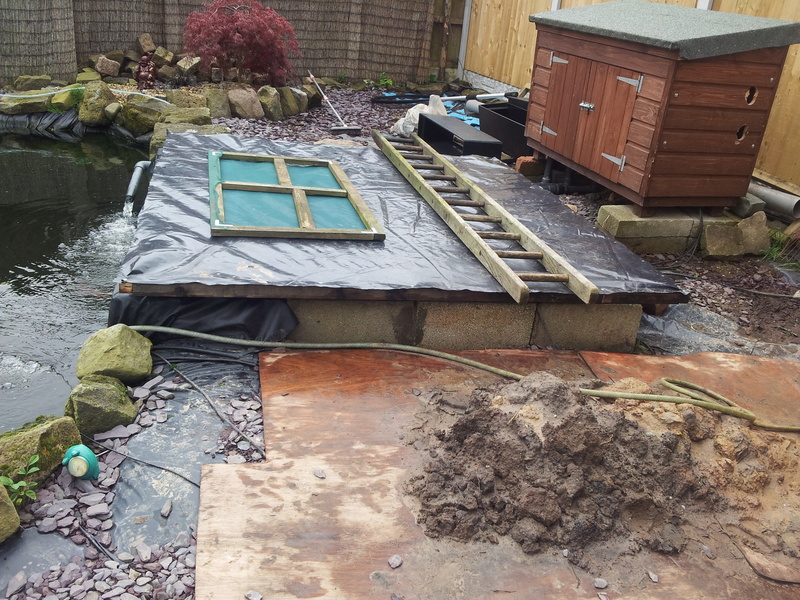 But with all the flooding this week, and many a potential problem with both ponds, pipework etc, we had to put it off. I am pretty gutted about this because I wanted to see two of the new friends I’ve made this year. Mark and Claire who are just lovely 🙂 and Stuart and his wife, although wasn’t sure if his wife was going today… hey ho, it is what it is, and although we don’t struggle for cash, we can’t afford to spend everything we have on a trip away, when we need to spend it on other things. Winter is coming and the ponds need to be covered, secured and well maintained. So, today’s little project was to make a small cover for our Nexus bunker. This always, always, floods. And although rain going in or around it won’t make much difference to it flooding. At least it will keep a little bit more heat in there and keep the filter bugs that little bit happier.